Bernobich, Beth. The Time Roads . Tor 2014. Summary: Collection or fix-up novel of the stories "A Flight of Numbers Fantastique Strange", "The Golden Octopus", Ars Memoriae , and "The Time Roads". Comments: The short stories were initially referred to as the Eireann sequence. Bernobich, Beth. "The Golden Octopus"
Summary: The young queen of an 1800s Ireland tells the story of a physicist trying to invent time travel. Series note: First story in The Time Roads. Published: In Postscripts #15 (Summer 2008); The Year's Best Science Fiction & Fantasy, 2009 Edition (ed. Rich Horton), Prime 2010 (1607012146BUY); and The Time Roads , Tor 2014 (076533125XBUY). Bernobich, Beth. "A Flight of Numbers Fantastique Strange"
Series note: Second story in The Time Roads. Published: In Asimov's Science Fiction June 2006, and The Time Roads , Tor 2014 (076533125XBUY). Bernobich, Beth. 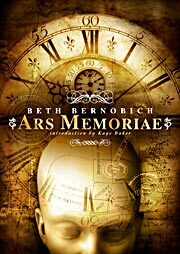 Ars Memoriae . PS Publishing 2009. Series note: Third story in The Time Roads. 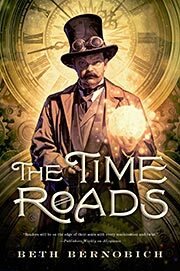 Published: PS Publishing 2009 (1906301719BUY, 1906301700BUY), and The Time Roads , Tor 2014 (076533125XBUY). Bernobich, Beth. "The Time Roads"
Series note: Fourth story in The Time Roads. Published: The Time Roads , Tor 2014 (076533125XBUY).